Ken Paxton is running for Attorney General and I’m writing to share with you why I whole-heartedly endorse him for the job. We all know Texas is under attack: the left wants to turn Texas blue, Washington doesn’t like our Voter ID law, and President Obama’s legacy legislation has been rejected in the Lone Star State. They’re bringing the fight, but so is Ken Paxton. Our state’s Attorney General is the first legal line of defense against federal overreach. We can count on Ken to defend our Constitution. He will defend our religious liberties, guard our Second Amendment right, and preserve state sovereignty for this generation and those to come. My wife Terry and I have known Ken and his wife Angela for years and I can tell you they are devout believers with tremendous integrity and conservative values to their cores. Ken walks the talk – I never have to wonder where he stands on an issue. 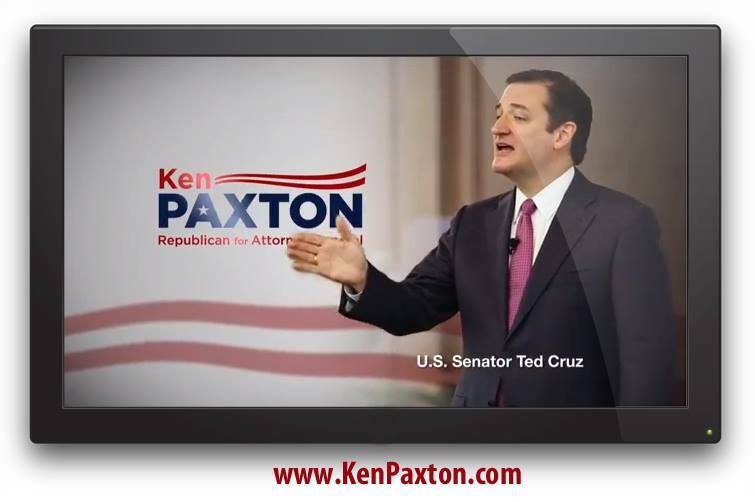 Unlike some politicians who will go with whichever way the wind blows, Ken Paxton stands strong in his values. Casting a vote for Ken Paxton is taking a stand for liberty. He is the only constitutional conservative I trust with my family’s freedom, and I know he’s a man you would be proud to have fighting for you. DESPITE Paxtons’ endorsement as above, I voted for him.